At Germain Honda, our service mechanics are here to keep your Honda running like new. Following the factory-recommended maintenance schedule is the best way to keep your Honda running at its highest performance level. 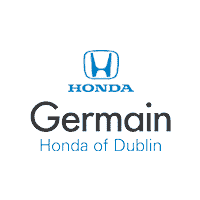 Our goal at Germain Honda of Dublin is to prevent the problems before they occur. Visit our Honda dealership in the Columbus, OH area for your next oil change and filter change. We use only genuine OEM parts and products that are specifically designed to keep your vehicle running in optimal condition. Trust the people that know Hondas best. Don’t know if you need regular oil or synthetic oil? Let our service mechanics help you out. Synthetic oil improves your vehicle’s performance overtime, improves your fuel economy and will help save you money in the long run. For more information please contact one of our service professionals at (866) 864-3930. Be sure to check out our oil change coupons and current Honda offers to help save you money every time you visit us. We look forward to helping you take preventive action.